"Simply stunning in every detail"
Here at ChiIL Live Shows we adore Marriott Theatre productions, from their stellar casting choices to their unique theatre in the round staging. We're eager to see their latest extravaganza and kick off for their 2018 season, Tony Award-winning Broadway musical, RAGTIME. I'll be out on February 1st to catch it, so check back soon for my full review. At the dawn of a new century, everything is changing and anything is possible. Based on the distinguished novel by E.L. Doctorow, this musical weaves together three distinctly American tales – that of a stifled upper-class wife, a determined Jewish immigrant and a daring young Harlem musician – united by their courage, compassion and belief in the promise of the future. Together, they confront history's timeless contradictions of wealth and poverty, freedom and prejudice, hope and despair... and what it means to live in America. Written by the award-winning composer/lyricist team of Stephen Flaherty and Lynn Ahrens (Once on this Island, Anastasia, Seussical) and noted playwright Terrence McNally, this acclaimed musical is filled with pageantry, emotion and hope, bursting onto the stage like no other musical. 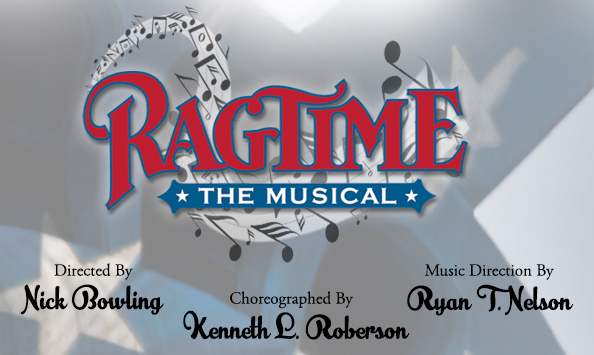 The performance schedule for RAGTIME is Wednesdays at 1:00 p.m. and 7:30 p.m., Thursdays at 7:30 p.m., Fridays at 8:00 p.m., Saturdays at 3:00 p.m. and 8:00 p.m., Sundays at 1:00 p.m. and 5:00 p.m., with select Thursday 1:00 p.m. shows. Ticket prices range from $50 to $60, including tax and handling fees. Call for student, senior and military discounts. On Wednesday and Thursday evenings there are a limited number of dinner-theatre packages available for purchase through the Marriott Theatre Box Office. To make a restaurant reservation, please call 847.634.0100. Free parking is available at all performances. To reserve tickets, please call The Marriott Theatre Box Office at 847.634.0200 or go to www.ticketmaster.com. Visit www.MarriottTheatre.com for more information.